LOS ANGELES (January 5, 2018) - The LA84 Foundation, a nationally recognized leader in support of youth sport programs and public education established with the surplus from the 1984 Olympic Games in Los Angeles, has made a grant to The Salvation Army's Robert and Tilly Sinnett Red Shield Community Center. The $100,000 grant will be applied to new equipment, including uniforms and player equipment, as well as part-time personnel to oversee and coach sports programs. The Red Shield Community Center (1532 W 11th St, Los Angeles, CA 90015) serves the youth, family, and senior population of Los Angeles. Currently, more than 125 children and youth are served on a daily, drop-in basis. Located in the Pico-Union neighborhood near Downtown Los Angeles, the Red Shield Community Center provides the local community multifaceted programs that includes a pool, gym, group exercise studio, dance studio, game room, computer lab, stage and performing arts space, gathering spaces and more. The LA84 Foundation is a nationally recognized leader in support of youth sport programs and public education about the role of sports in positive youth development. The foundation, with 30 years of on-the-ground experience, has supported thousands of Southern California youth sports organizations through grant making, while also training coaches, commissioning research, convening conferences and acting as a national thought leader on important youth sports issues. 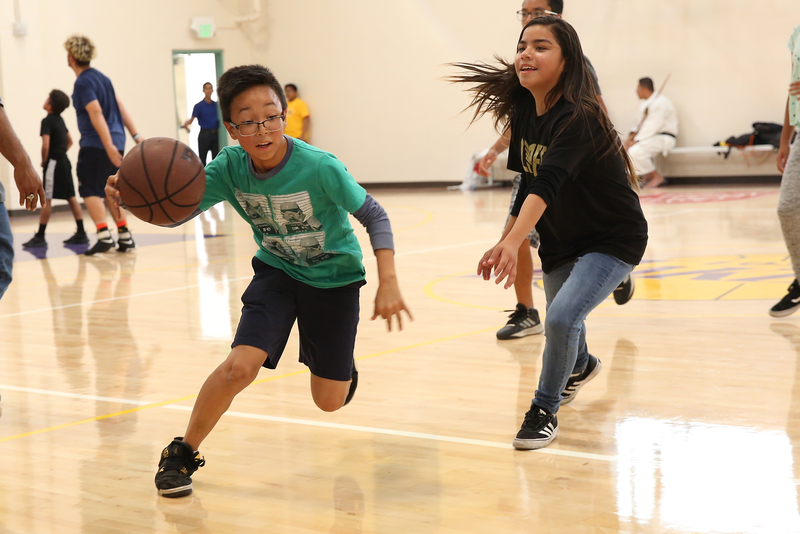 LA84 levels the playing field so that sport is accessible to all children, while elevating the field of youth sports as an integral part of American life. To learn more, visit www.la84.org and @LA84Foundation on Twitter and Instagram.